Born: 1 April 1859, Paarl, South Africa. Died: 9 August 1932, Hendrina, Transvaal, South Africa. 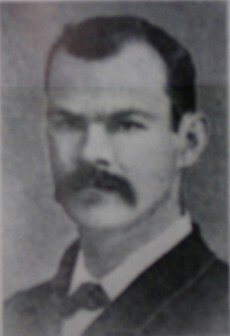 Gideon R. von Wielligh (sometimes Van Wielligh), surveyor and early popular writer in Afrikaans, was the son of Nikolaas von Wielligh and his wife Martha M. Retief. He was educated privately and at the Paarl Gymnasium. In 1879 he passed the examination for the Certificate of proficiency in the theory of land surveying of the University of the Cape of Good Hope and the next year was admitted as a government land surveyor in the Cape Colony. He was admitted to practice as a land surveyor in the South African Republic (Transvaal) in 1883 and the next year was appointed surveyor-general of the territory, succeeding G.P. Moodie*. He held this post until 1895, whe he was succeeded by Johan F.B. Rissik*. During the Anglo-Boer War (1899-1902) Von Wielligh was commissioner in charge of the British prisoners of war at Waterval, north of Pretoria, and later was interned at Louren?o Marques (now Maputo) by the British. After the war he was again admitted to practice as a land surveyor in what was then the Transvaal Colony, on 8 August 1902. Subsequently he became a member of the Institute of Land Surveyors of the Transvaal. Von Wielligh was married to Elizabeth de Villiers, with whom he had three sons and a daughter. He joined the Genootskap van Regte Afrikaners in 1876 and from then until 1891 wrote for Die Afrikaanse Patriot and later for Ons Klyntji (1896-1906), Ons Taal (1907-1909) and other Afrikaans periodicals. In 1903 he visited Maputo again to collect astronomical instruments that had belonged to the government of the South African Republic. While attending a carnival there, lime was thrown in his eyes, leaving him with severely inpaired sight. He appears to have left the Transvaal Colony shortly afterwards, and by 1909 was living in Paarl. In spite of his misfortune he continued to write. Among others he contributed an article on "The culture of the Buchu plant" to the Agricultural Journal of the Union of South Africa in 1913. Around that time he became one of some 40 persons who's letters were published in the Agricultural Journal (1913-1914, Vol. 6-8), all affirming the widely held view that South Africa was drying up and suggesting various causes and remedies. His books included a number of adventure stories for children, a monograph on bee-keeping (1909), a work on spoken Afrikaans (1925), another on the Genootskap van Regte Afrikaners (1925), stories of the San (1919-1921, 4 vols) and animal stories of the Khoi (1917-1922, 4 vols). He was an energetic, cheerful and pleasant person with a good sense of humour. Agricultural Journal (Union of South Africa), 1913, Vol. 6, article by Von Wielligh. Journal of the Institute of Land Surveyors of the Transvaal, 1905, Vol. 1(1), pp. 24-27, and 1909, Vol. 1(8), pp. 338-341: Lists of members. National Archives Repository (TAB). Source SS, Vol. 837, Ref. R3693/83: G.R. van Wielligh has been admitted to practice in the South African Republic as a sworn land surveyor... (1883). Transvaal Colony. Civil service list, 1906, pp. 147-148, Government land surveyors. Weather Bureau. Bibliography of regional meteorological literature. Vol. 1. Southern Africa, 1486-1948 (compiled by R.J. Venter). Pretoria: Weather Bureau, 1949.